With a confirmed runtime of three hours and almost one minute, many fans have wondered if Avengers: Endgame is getting an intermission. The answer appears to be, 'Nope.' Perhaps more worrying than that for those of you out there with a weak bladder, there doesn't appear to be any downtime in the movie either, allowing for a chance to run to the bathroom. A lot has been made in recent weeks about the gargantuan runtime of Avengers: Endgame. It is by far the longest MCU movie ever released in theaters by quite a lot. By comparison, Avengers: Infinity War only ran for two hours and forty minutes, which is almost twenty-one minutes shorter than what we're getting when Endgame hits theaters at the end of this month. And we should already know from that experience that the narrative doesn't allow for much downtime. The same is definitely being said about Avengers: Endgame. According to Marvel boss Kevin Feige, this big beast is all killer, no filler. And it has been strategically trimmed and edited to account for such. There won't be one lame scene in the entire movie, or one moment where your brain is thinking, 'Now is the time to run to the bathroom'. Here's how Kevin Feige explains the movie's long runtime, and why you probably shouldn't load up on soda and juice beforehand. "What I've always said is a movie is as long as it should be. And we are not fans of overindulging movies. We are not fans of laborious lengths for no reason. We are fans of movies that you wish didn't end. Movies that you want to see again as soon as it's over. And movies that you just don't ever find a good time to run out to the bathroom. That's when a movie's working. And if a movie doesn't feel like that to us we continue to trim, we continue to shape, we continue to bring that time down. That happened to a certain extent on this movie. But we got to a point where it feels very exciting and goes by very quickly and in the end is the perfect length. And everybody that saw the movie felt the same way." Some fans will argue, or perhaps have simply forgotten that The Empire Strikes Back did have an intermission when it first hit theaters in May, 1980. Subsequent rereleases did not have an intermission. But when it first screened, there was a break from when the Exogorth, the monster hiding in the asteroid, was about to close its mouth down on the Millennium Falcon and Han Solo maneuvering an escape. Those who remember this remember it was jarring, as the escape only lasted a few seconds and quickly whiplashed to Luke swinging through the swamps of Dagobah with Yoda on his back. It served as a bathroom break cliffhanger, but didn't go over so well. And intermissions haven't been used much sense. Quentin Tarantino's The Hateful 8 had an intermission, but it was mostly shown in 70mm theaters, and was used by the director as a bit of nostalgia for a bygone era in Hollywood. That movie ran 3 hours and 7 minutes. That is just six minutes longer than Avengers: Endgame. 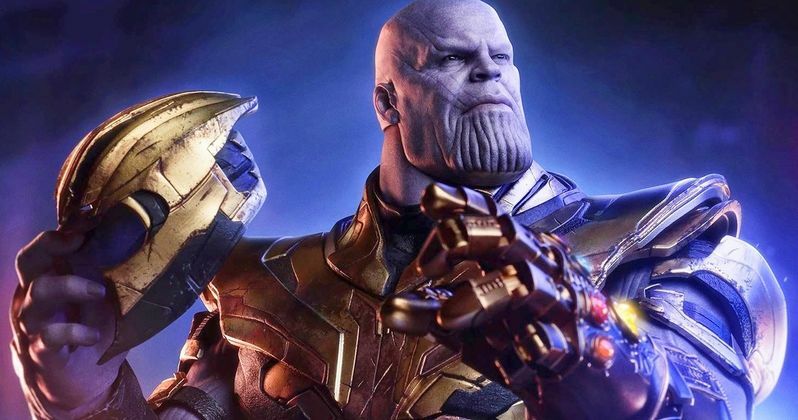 Suffice it to say, as it stands now, especially because it would mean even fewer daily screenings because of the extra 15 minutes tacked on, that Avengers: Endgame won't get an intermission until it's screened at your house, where you'll be able to guzzle all the Sunny D you want and pause the experience at your leisure. This quote first appeared at io9.